You’ve heard of the Blue Ridge Parkway? Ever driven it? Wonder if it’s worth your precious time off from work? I hope these two shots answer the last question for you. 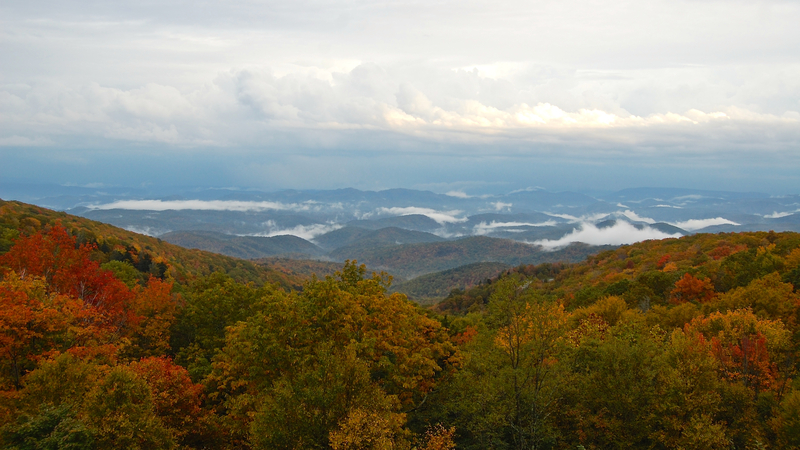 I have taken my family up into the mountains of Tennessee and North Carolina every autumn since 1995. And I always ignored those brown “Blue Ridge Parkway” signs around Cherokee and Asheville. Until 2009. Now, views like these beckon our frequent autumnal return. When I stand in places like this, smelling the wind, my soul seems to look up as my eyes look out. May God give us all grace to cherish the majesty and mystery he reveals dimly in nature, and more radiantly in Christ. Amen. I found your website describing our biggest mistakes and have kept the link and read it at least once a week. It inspires me to go on in spite of the fact I sin daily. I know he is faithful to forgive. 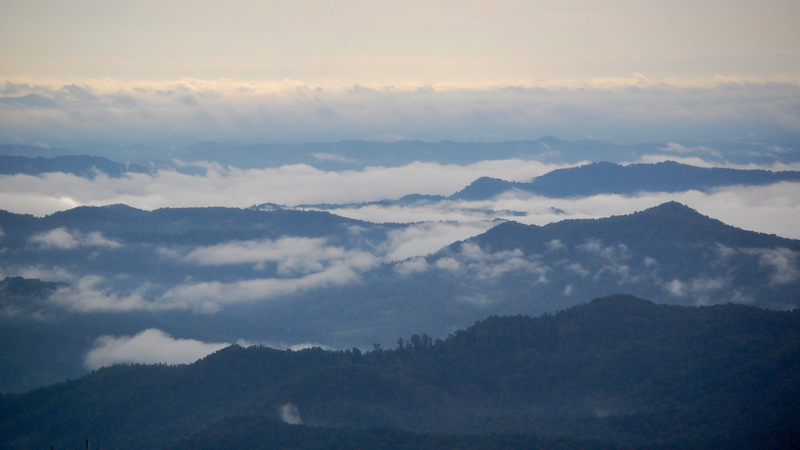 I since have subscribed to your site and am so pleased you have found the blue ridge parkway. The pictures you have taken are of the back yard I grew up in. You see this area is where my family was born, raised me and my sister and will always have a special place in my heart. It’s amazing how big this world is but really small since I found your site and you found my home. Thank you, David. This made my day.